foam padded red racing horse pvc bridle Product bridle and reins Material waterproof PVC coated nylon/polyester webbing, PU leather, alloy ring, D-ring etc Color red, blue, black, white, green, orange, brown etc Size adjustable Packaging 1set/bag MOQ 300sets Advantages (1) Cold resistant of TPU, which can normally work under -30 degree (2) Competitive price, beautiful, wonderful performance, strong (3) Easy to clean, weather and water resistant (4) Soft and strong, high tensile strength which beyond than cowhide (5) Needing little upkeep Payment term T/T Delivery time 15-20days after we receive the 30% deposit We are professional manufacturer of producing horse rein,horse bridle,horse halter, horse headstall and so on since 2008 in China,so we can give you our best price with perfect products to you. Please feel free to contact us if you have any question or need more detail information, i will do my best to do better for you. Especially PVC horse products, We are the No. 1 and first factory to do it in Mainland (except Taiwan) nearly 10 years. . We are also the main suppliers of most Horse Clubs in China Domestic market . 11 YRS Xiamen Jude Belt Co., Ltd. Packing & Delivery Custom packaging We can do custom package as per customer's requirement. Package Normal package is polybag packing with size sticker. Loading and delivery We deliver the goods in 45-60 days after order confirmed. Cost-effective Shipping: We will give you useful advise on a cost-effective mode of transportation. Solid Knowledge: More than 6 years of production experience, familiar with all kinds of raw materials. Strength: Quality assurance, technical engineer, skillful workers, experienced customer service. 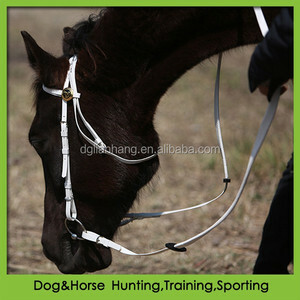 Also we could add your logo onto halter, you just need offer us artwork. Protection of your sales area, ideas of design and all your private information. E: Price-lists are available, you are welcome to ask. 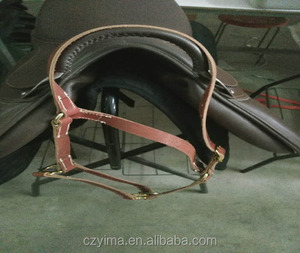 Alibaba.com offers 2,114 padded bridle products. About 6% of these are halters, 2% are other horse products, and 1% are other sports & entertainment products. A wide variety of padded bridle options are available to you, such as eco-friendly, anti-static, and anti-pilling. You can also choose from pp, nylon, and polyester / nylon. As well as from webbing, blouses & tops. And whether padded bridle is bags, or bride. 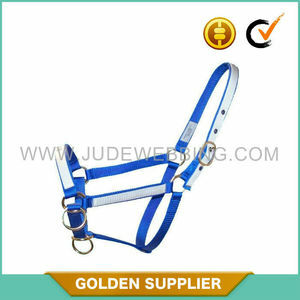 There are 2,114 padded bridle suppliers, mainly located in Asia. 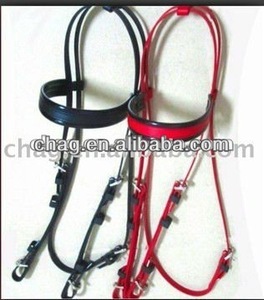 The top supplying country is China (Mainland), which supply 100% of padded bridle respectively. 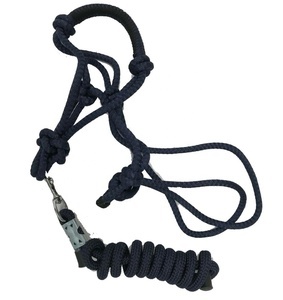 Padded bridle products are most popular in North America, Western Europe, and South America. You can ensure product safety by selecting from certified suppliers, including 211 with Other, 170 with ISO9001, and 33 with BSCI certification.